"I believe we're going to see persecution in this country," Graham said during an interview on Fox and Friends Weekend on Sunday. "We've already seen many laws that have been passed that restrict our freedom as Christians. I believe it's going to get worse, and we see no question gaining influence in Washington by those that represent the Islamic faith. We do have a problem in this country and we are losing our religious freedom and we're losing it a little bit day by day." It's not the first time that Graham, the son of renowned evangelist Billy Graham, has issued a warning for Christian Americans. He previously warned that America's morality was crumbling because President Obama "defends Islam and chastises Christians, rebukes our allies and befriends our enemies, and fully supports gay marriage and abortion but denies the religious freedoms of those who don't agree". In days of infamy here in America, Columbine is remembered as a dark time as much as 9-11. Among the victims of Columbine High school were Rachel Scott and Cassie Bernall – two young Christians that defied the intimidation of their predators and held fast to the name of Christ, at the cost of their lives. While this was in fact, an isolated incident, among a few others, I believe that this is a harbinger of what is to come, and what we see in the political and social climate today indicates that the winds of persecution are increasing. Generally speaking, this world will always reject Christ and the Word of God – and for those who come to faith, they will certainly be ostracized and labeled as religious fanatics at best, or evil at worst (GAL 4:29; 1 PET 4:3-5). 21 Yet hath he not root in himself, but dureth for a while: for when tribulation or persecution ariseth because of the word, by and by he is offended. (See also MATT 23:34-35). What this world is unaware of, is that as the Head of the church, the church being the body of Christ, whenever Christians suffers persecution, it is actually Christ Who is persecuted (ACTS 26:14) – and there will be a reckoning for such when the Avenger of blood (DEUT 19:12; ISAIAH 63:4; ROM 12:19) arrives in Judgment of this fallen world (No doubt, this is the reason why we should pray for our persecutors! See MATT 5:44-45). Scripture has much to say about the righteous being persecuted by the religious and the reprobate; and also what our response should be in the face of such persecution. There seems to be an increase in the world’s diatribe against the Christians in America today. The reputation and long history of the ACLU bears this out – add to this the current, well-nigh universal acceptance of homosexuality and this group’s targeting of Christian churches and Christian-owned bakeries (that refuse to serve them by performing weddings or baking cakes for the occasion) – add to this the number of Muslims immigrating to our shores, who have the ideals of Sharia law and intend on usurping our Constitutional rights for their own rule of law – add to this the indoctrinated youth who have learned to embrace Socialism (political as well as cultural) through the propaganda in our public school system – a political entity that has long been an enemy of Christianity. And of course, there is the Southern Poverty Law Center, who in many people’s estimate is so radically leftist that it makes the ACLU look downright conservative. One of the key words in that verse is falsely. We are to be sure of two things: that any charge leveled against us in committing anything evil or morally wrong, needs to be false; that we are actually guiltless of such charges. Also, we need to understand that any charge leveled against us by this world will be false – just as they falsely accused our LORD (MARK 14:58). And so, what exactly is the SPWC saying about us Christians, who hold to conservative values as something biblically based and right according to the Word of God? “Really? Eight hate-groups in San Diego's backyard? How does that make you feel if you live nearby, and what protective action should you take? And who, exactly, are these groups? “Some are Black Supremacist groups; one denies the Holocaust; one supports Islamic terrorism and wants to establish Sharia Law; and two are conservative Christian organizations. “That's right, two conservative Christian organizations, including the Ruth Institute, a Catholic, pro-family organization, led by Dr. Jennifer Roback Morse, are listed side by side with radical Muslims, Black Supremacists, and Holocaust deniers. I will grant you, that the Roman Catholic church is hardly an example of a doctrinally sound institution for teaching the true Gospel of Jesus Christ, and that historically speaking, this institution had been leading the way in persecution of Jews and true Christians for centuries; but in the context of this organization* – a pro-family, conservative entity that stands against homosexuality and other aberrant forms of sexual conduct as something the Bible speaks clearly about – to categorize them in the groups as Black Supremists and Islamic terrorist organizations – hardly seems appropriate. A spokesperson for the Ruth Institute said, "No one who creates those designations has ever contacted us, to inquire about our mission or values. We do not know how an organization becomes christened a 'hate group' or how an organization gets off such a list." “In 2012, I was included on an SPLC list featuring profiling ‘30 Leaders of the Rising Radical Right,’ along with men like David Duke of KKK infamy and Malik Zulu Shabazz, former head of the New Black Panthers. “Once again, you see the insidiousness of the SPLC's work, as Christian conservatives like me (and prayer leader Lou Engle and historian David Barton) were included among leaders of the ‘radical right’ simply because we believe what the Bible says about homosexual practice. “Using this same logic, should the SPLC one day publish a list of ‘hate books,’ the Bible would be on their list. (Note also that groups and individuals which expose radical Islam are also on the SPLC's hate list. “Although the SPLC subsequently removed me from their list (with no explanation ever given and with no response to me when I exposed their error and called for face to face interaction), a few years back they added a new name to the list: Dr. Ben Carson! The FBI routinely relied upon the SPLC for information, but this, at present seems to be diminishing to practically nothing. Still such news agencies as CNN have helped to promote this organization, resulting in its 2016 assets totaling $34 million with endowment funds exceeding $300 million! This is a very powerful, well financed organization that equates conservative Christians with the likes of the KKK! Which Christian organizations are being labeled by the SPLC? Alliance Defending Freedom, American College of Pediatricians, America Family Association, Americans for Truth About Homosexuality, Liberty Counsel, D. James Kennedy ministries, Focus on the Family, among others (follow this SPLC link and this CNN link see for yourself the smattering of Christian organizations in the midst of these truly and definitely hate-inspired groups). And it seems that YOUTUBE is busily deleting videos made by subscribers on the basis that they are “not suitable for all advertisers” . . . strangely enough, the types of videos being deleted are often Christian/conservative based. One of those ministries is . . .? 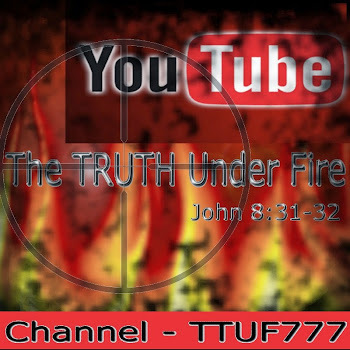 Yes, you guessed it: Prophecy News Watch! Needless to say, none of these actions by the SPLC or youtube are in themselves examples of persecution, but a prelude of sorts. In Germany, when Nazism was on the rise to power, the Jewish people were hated, blamed for the woes of the nation; they were seen as little better than rats by the German people who were indoctrinated by the propagandists whose intent was to vilify these people. In the film Nuremberg, one of the Nazi war criminals was asked if his statements regarding Jews being “a race of blood suckers and extortioners” was preaching race hatred. In the following clip, you can hear his answer at :55 seconds. Such propaganda today exists in conditioning people to think of “extremists and fundamentalists” as wrong thinking, misguided or even evil religious fanatics. This is how the world sees Islamic terrorists (when in reality, they are simply obeying a literal interpretation of the Quran that encourages such activities against "the infidels"; while one of the fundamental truths of Christianity, opposed to the edicts of Islam, is that we "love our enemies" (MATT 5:44)), but the terrible acts perpetrated by that religion is serving the cause of these mind-controllers: so that people will think this is true of all fundamentalists and fundamentalism – as extreme and therefore unacceptable. And so, does this include fundamentalist Christianity? One would suppose so, given the bias of media, literature, the Internet, again, the public school system and other political-social venues. 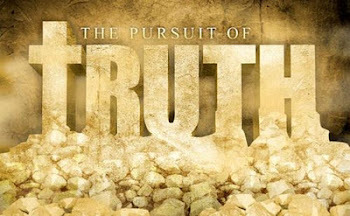 Include in this list, another entity whose bias falls in line with the philosophies of this world in regard to absolute truth: the emergent church movement, which disdains and even rebukes those who claim to know the absolute, unadulterated and exclusive truth source granted to the church: The Holy Bible! Whether one subscribes to the view that the Founding Fathers of America were Masons or not, the heart of the American population at its inception and early history was certainly Christian, espousing what is known as the Judeo-Christian ethic (a cursory examination of the American States Constitutions will reveal this). We had religious liberty and lived lives free of persecution as a nation of Christian people. Yet as our society became more and more corrupt, infiltrated with Secular Humanism, Enlightenment, Socialism, Evolution and ungodly philosophies, our heritage was tarnished. Today it is all but scrubbed away as the Socialists continue to divest us of our moral moorings, commit acts of revisionist history and further isolate biblical Christianity by the oft cited “separation of church and state” mantra. Yet as the darkness encroaches – we the church have yet to experience any kind of serious persecution among the general population of Christians. Why is this? Perhaps because the very church here in America has become so anemic, so watered down, so ‘un-salty’ (MATT 5:13) that it has lost its stinging quality that would convict the sinner of their sin? Still, those whose allegiance is to the Word of God, those indwelt by the very Spirit of God, will come to know persecution as this world grows darker still – where iniquity will so abound, that “the love of many will grow cold” (MATT 24:12) but those few, the remnant will stand fast and not tolerate false teachings, the spiritual leaven of malice, wickedness and pride (1 COR 5:8; 2 THESS 1:3-6; REV 2:2). This article is not intended to cause fear or trepidation, but rather to encourage awareness of the times (1 CHRON 12:32) in which we live, to make whatever spiritual preparations necessary to weather these storms, and to live in such a way to honor and receive commendation from the LORD on the Day of His Visitation. For more on this, see the following article based on The BEREAN CALL’s Article SEDUCTION: A PRIMER FOR PERSECUTION? ALSO this excellent exhortation (TTUF does not necessarily endorse everything found on this site): 10 THINGS TO PRAY TO PREPARE FOR PERSECUTION!